How Long Will a SEO Strategy Need to Take Effect? How long will it take your company to become the number one in their industry? How long does it take to reach the status of a thought leader in your industry? 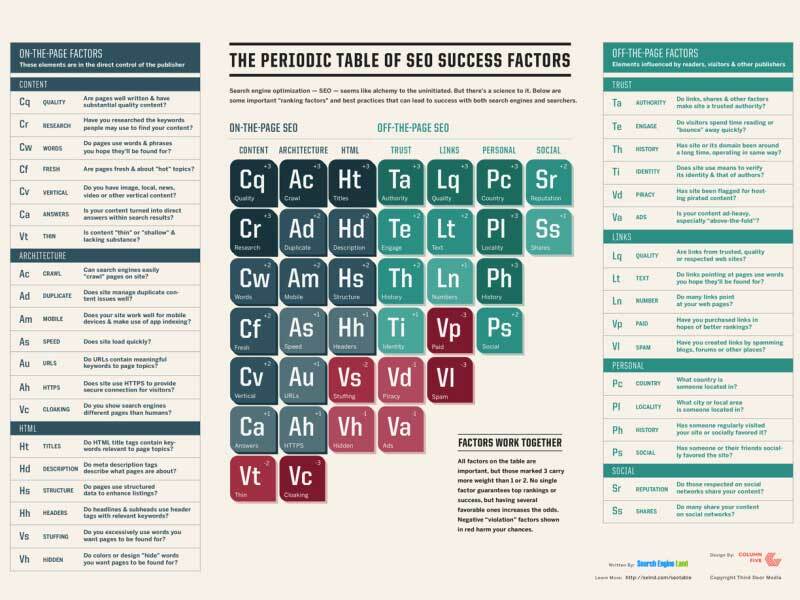 It depends on a lot of factors like where is your website now in terms of SEO? How much work are you putting in it, what’s your competition and industry, what is your SEO strategy and also pretty much every other this type of question that you can think of. What do you mean by SEO taking effect? What’s more important though, you are asking the wrong question. What do you want to know when you ask this question? 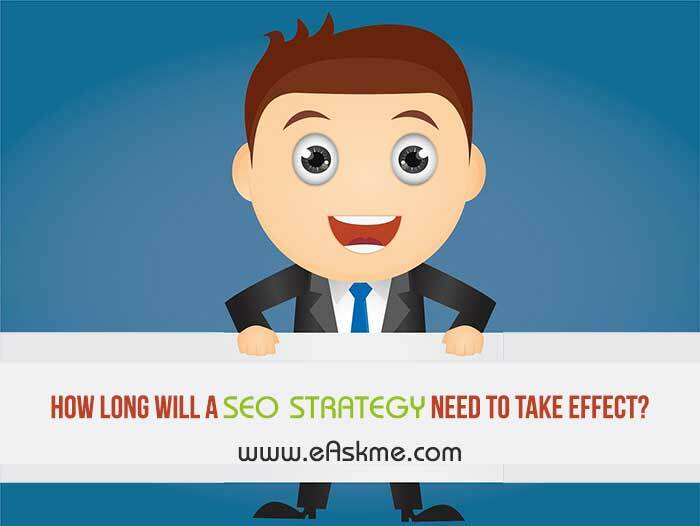 If you mean “How long will it take you to reach #1 ranking for a few specific keywords\” then the answer is, if you put a lot of money in it, it can be done in a few days. But will your business benefit from it? That’s another question. What you need to understand about modern SEO is that it’s not just about reaching #1 rankings with a group of keywords anymore. Rankings are still important surely, but the traffic you get from those rankings won’t necessarily translate into leads and customers. The pace of our life is increasing year after year and it’s also impacting customers’ research and buying decisions. More and more people go after detailed, long-term keywords or even questions instead of short keywords. Customers want to find the exact answers to their questions, not just read a ton of information about the subject and subtract the answer from it. Such specific, detailed keywords are generally much easier to rank for, don’t have a lot of competition and the traffic from those keywords converts at a much higher rate. This is on of the main reasons that reaching #1 rank isn’t all that important anymore. In other words, you’re facing two options: SEO outputs vs. SEO outcomes. Getting #1 rank for a specific keyword on Google is an SEO output that can be achieved in a relatively short time, requires a lot of cash, is very emotionally satisfying, but doesn’t help your business grow much. SEO outcomes are basically the same thing as above, except that they actually help your business grow and increase revenue, which is the outcome you are looking for right? So the question you should be asking is “How long will it take for SEO to generate more leads and sales for my business?” The thing is that it still depends on a variety of factors, but at least you know what you are expecting now. Here is an infographic that shows those factors and how they interact with each other (source). While there are a lot of variables that can influence your SEO (make sure to stay updated on SEO trends for each passing year), it is possible to give a reasonable estimate for an average case. Let’s have a look. 1st Month – The first month of implementing your SEO strategy will typically consist of industry research, keyword research and discovery, website audit and planning. If you already have some data to work with, then the industry research and keyword discovery can take less time, but if you are starting from scratch, a month should be a reasonable estimate. 2nd Month – Based on the results of your website audit, you start doing some technical work, which is fixing broken links, getting rid of “404 errors”, fixing redirects, Meta tags and descriptions, alt tags for images and videos, focusing on internal and external link building and the rest of this hustle. So technically, you are already doing SEO, but the results are nowhere to be seen yet. Follow SEO checklist now. 3rd Month – This is where your content strategy jumps into play. All the content you have planned, including videos, articles, guides, eBooks, whitepapers and the rest are getting on air and ready to be crawled by search engine bots. In an ideal scenario, you should have started your content creation right after the 1st Month of planning and research, but it can be a bit too costly to do everything simultaneously. As your content goes live (and assuming that ittargets the right audience and answers their needs) you will start seeing some results, but don’t get your hopes too high just yet. 4th Month – You are still keeping consistent with your content production and focusing more on internal linking and external link building (which, by the way, also involves getting rid of low quality links that are dragging you down). By now, you should be seeing some positive results, which is a sure sign that you are on the right track. 5th Month – By now you probably started incorporating socialmedia into the big plan and are still focusing on producing high quality content. Engaging in some social media activities to promote your content will result in higher traffic for your website, which in turn will lead to more qualified leads and sales. 6th Month - At this point you should have consistent website traffic of around 3000-5000 monthly visitors (depending on how well you tackled all the phases) and should focus on conversion optimizations. At the end of the 6th month you could say that you are done with the fundamental part of your SEO strategy and will start seeing an increase in your leads and customers. From this point on, you can primarily focus on content creation and promotion to increase your website visits even more, or implement some other creative solutions you have in mind. It’s all a matter of vision and strategy. Key Takeaway: An average company will need around 4-6 months to start seeing SEO results. Note that this is the first step and your results will still be small, but should be growing as you progress. With each passing month, your SEO results should be getting better and better up to a point when your website traffic isn’t increasing all that much. In this case, it might be wise to stop focusing on traffic and shift your attention to conversion optimization instead. A lot of businesses, especially startups, dream big and expect results too soon. The thing is SEO is complex and needs a fair amount of time, resources and work to truly shine, but more importantly, it needs to be consistent. If you want to implement SEO in your overall marketing plan, bear in mind that you will need to work on it every day for about 6-12 months, or it’s a ton of cash and time wasted for nothing. If you think you don’t have the budget for this yet, then maybe paid ads with the right budget are a better option for you. SEO Tactics will help you to reach your goal. SEO is like this slow moving giant that shouldn’t be expected to reach his destination quickly. It’s moving forward consistently and is damn hard to stop, but needs time to eventually get there. But once you are able to get the giant to where you want him to be, he will serve you with faith and honor, proving that SEO is one of the few marketing tactics with the MOST ROI available today. Charles Dearing is an expert in digital marketing, who runs his own blog. He also writes for Patient sites.com, and his other works can be found on various marketing and business blogs.